Hello, friends!! 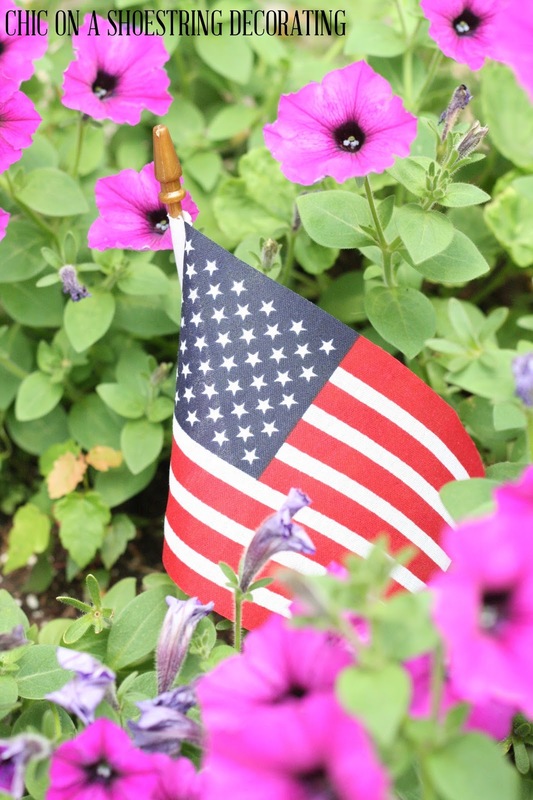 Can you believe the 4th of July is here?! Around here that means that summer is half over which is SO completely depressing. I was just saying at my Flaunt it Friday party that I need to consider the summer to be only half started instead of half over... you know, like the glass is half full? 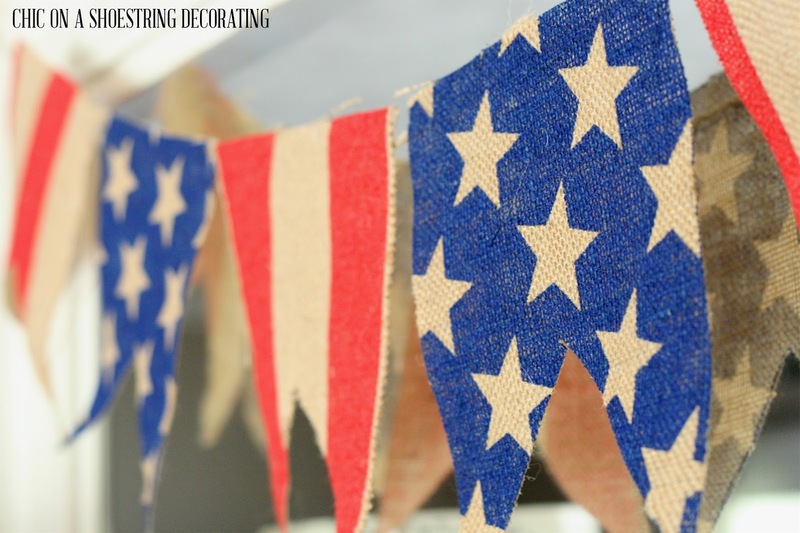 Anywho, I don't do a whole big bunch of Independence Day decor but I like to get a little bit of my red, white, and blue decor on. Mr. 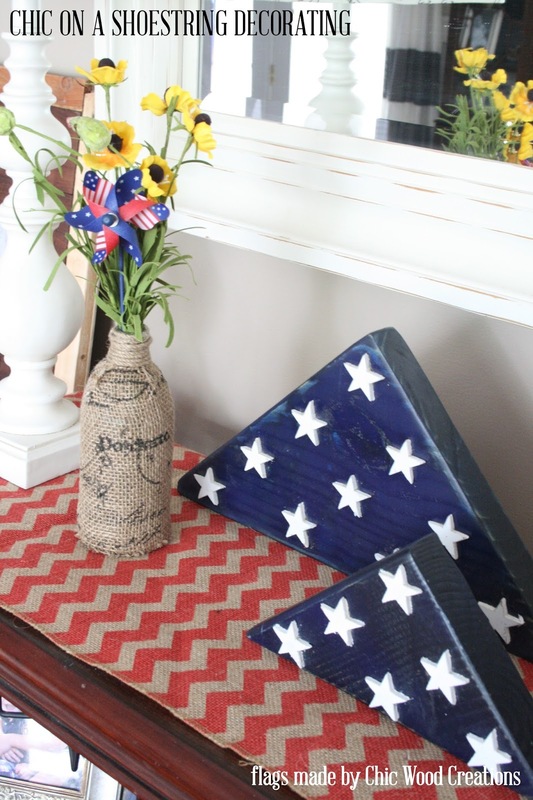 Chic (check out our side gig Chic Wood Creations) made these cute wooden "folded flags" for a sale we did a couple weeks ago. I made sure to snag a couple for myself. 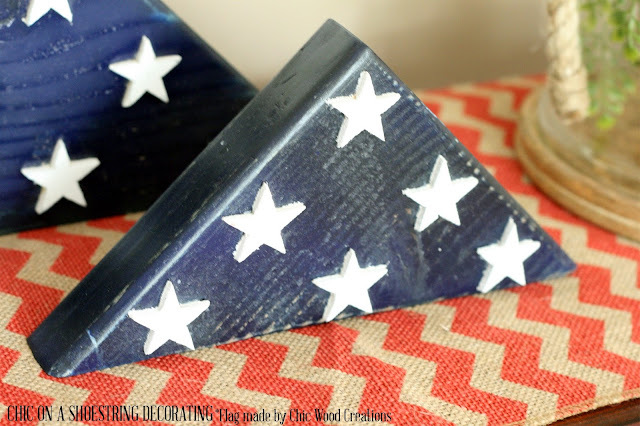 He hand cut each of those stars with a band saw! My man's got mad skillzzz. 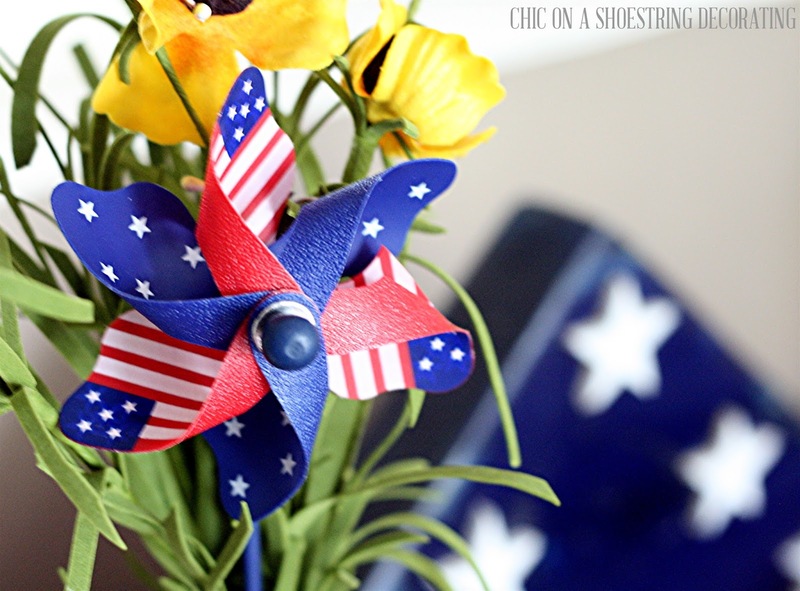 They take center stage of my little Independance Day vignette. He also made this rustic wooden flag. It's huge so I put it next to my sideboard. As a base and frame he used an old packing crate lid. 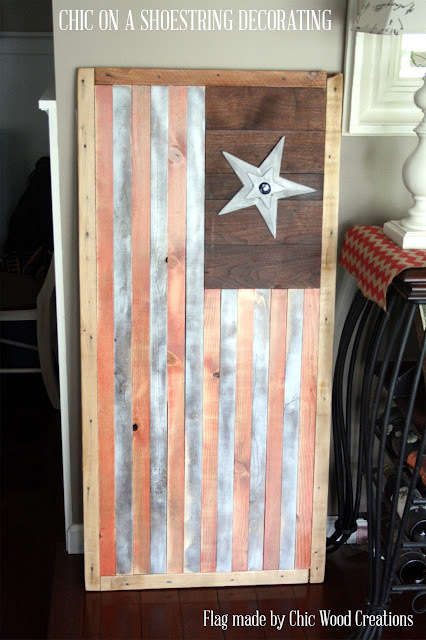 Bonus points for upcycling wood! I picked up this cute patriotic burlap banner at a flea market last year. 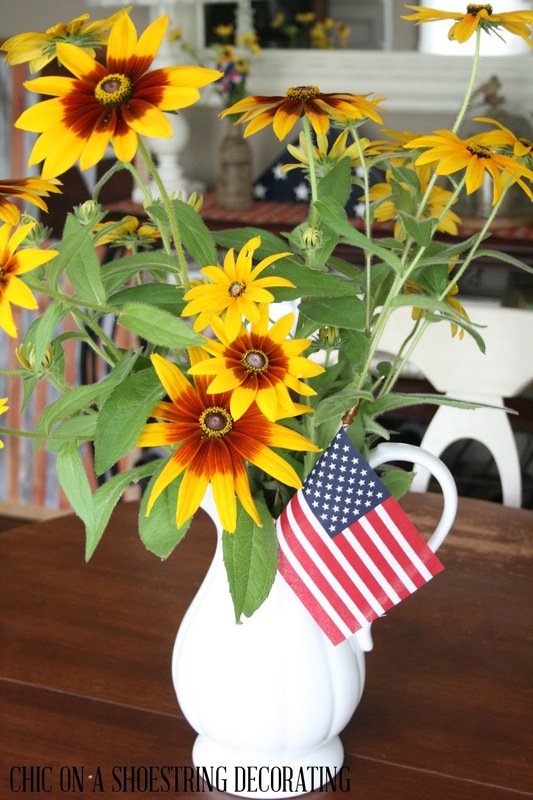 Patriotic flair even in my flower baskets! 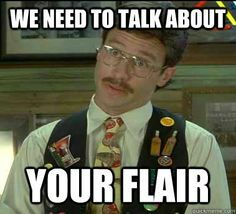 Hope you have a fun and patriotically-flair-filled-4th of July! I love that you added a little "flair" here and there. I really like the little burlap banner, I may have to make one of those for myself next year. Having just moved a few weeks ago I didn't do all I would have liked to, but I have a front porch for the first time in my life, and let me tell, you, it had red, white and blue bunting! 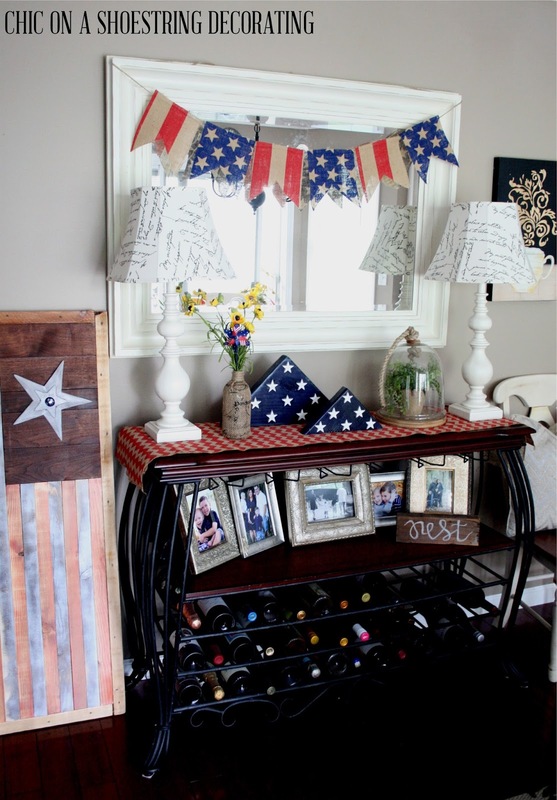 Next year, perhaps I will feature the whole front porch decked for the 4th.